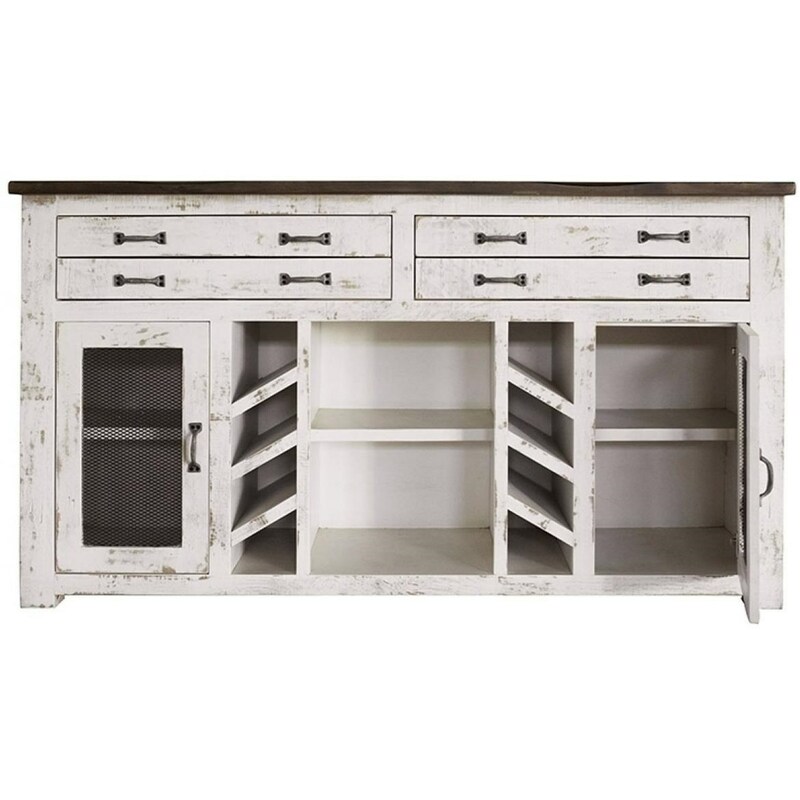 The Xalapa Rustic Solid Wood 4 Drawer and 2 Door Console with Wine Bottle Storage by International Furniture Direct at Miskelly Furniture in the Jackson, Pearl, Madison, Ridgeland, Flowood Mississippi area. Product availability may vary. Contact us for the most current availability on this product.